We’re happy to have our first bilingual (français, english) invitation under our belt! 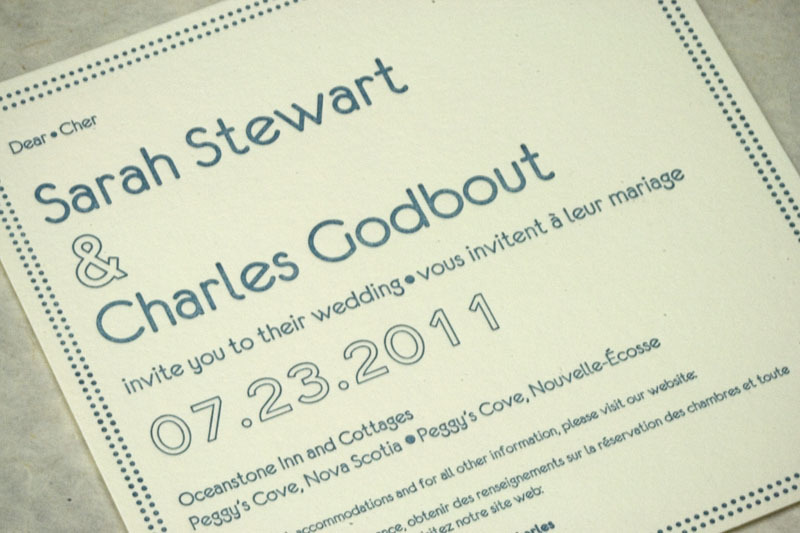 This is a custom invitation we designed for Sarah and Charles, a fun bilingual couple. 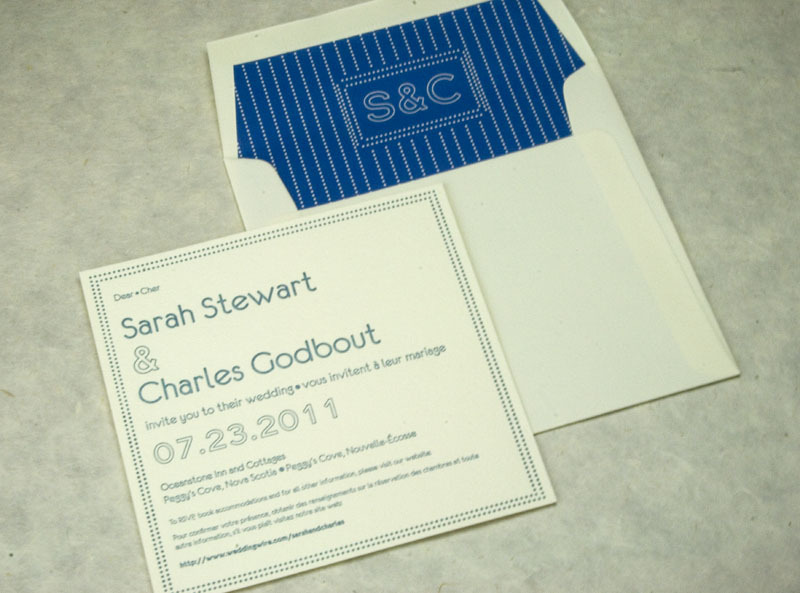 The one-colour modern design is complemented by a fun envelope liner with a custom monogram. 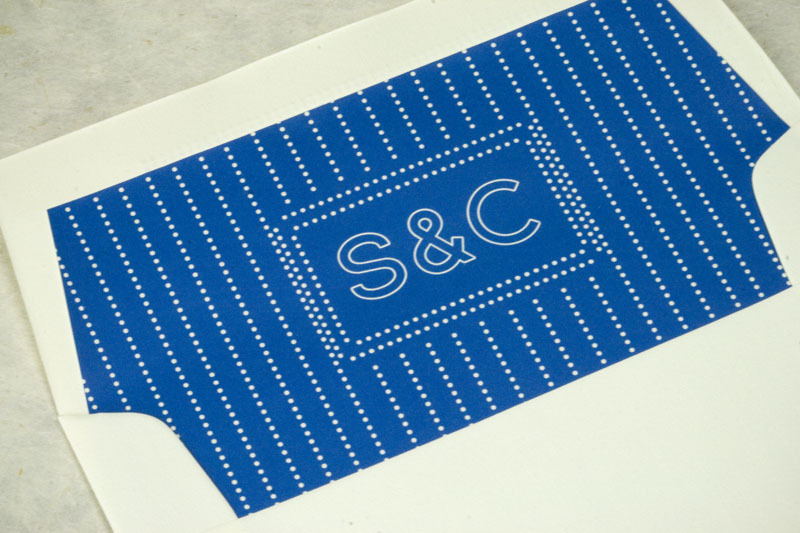 Printed on 300 gsm Lettra in ecru, 6.5×6.5″. Liner printed digitally.